LOS ANGELES--The Marcus Buckingham Company announced the launch of StandOutM, an algorithmic leadership development tool that capitalizes on individual strengths to provide managers and executives with personalized leadership advice anytime, anywhere. In this current era of extreme personalization and mobility, leadership development must offer authentic advice based on each individual’s skill set and strengths, rather than on traditional corporate training and performance management systems. StandOutM operates much like the successful content recommendation systems used online. StandOutM is a cloud-based management tool that enables leaders and employees to assess their own strengths and manage in a way that caters to each team member. Twice a week users can “bank” or “pass” new tips drawn from the world’s best managers. Banking a tip allows users to save an idea and come back to it when a relevant situation arises. These suggested ideas — ranging from food for thought to specific ways to handle difficult situations — are compiled from leaders with similar strengths, so that managers can supervise in an authentic manner that aligns with their personality and style. 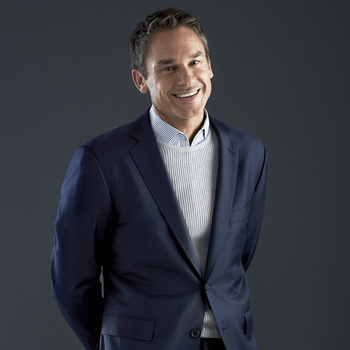 For information on how to book Marcus Buckingham for your next event, visit PremiereSpeakers.com/Marcus_Buckingham.